I’ve played quite a few Spider-Man games in my time. With that, I’ve played a lot of pretty bad Spider-Man games. But Edge of Time just might take the cake. After Shattered Dimensions proved to be a fun and well-designed (if not a bit rough around the edges) game, Activision apparently decided to let Beenox try another Spider-Man game, and made the horrible mistake of trying to rush it out before Batman: Arkham City sucked up all the comic-book-gamers’ attentions. 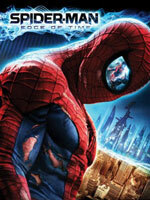 Edge of Time forces us into another game featuring multiple Spider-Men, but this time, instead of a dimension-hopping adventure, we get a time-travel story. The basic premise is that some bad guy from the future (2099) has built a time portal at the Alchemax building and is trying to kill the modern (Amazing) Spider-Man. Spider-Man 2099 discovers the plot and takes it upon himself to go back and prevent this from happening. Fortunately, the designers kept their ambitions constrained to just those two Spider-Men, and didn’t try to complicate matters by going further back in time to encounter, say, Black-suit Spider-Man, Scarlet Spider, Man-Spider, or any other Spider-Man variants from Marvel’s history. Just Amazing and 2099. The time travel story gives the game is primary gimmick: the things you do in one time period (usually the past) can affect the other (usually the future). This seems to be an effort to correct one of my primary complaints with Shattered Dimensions, which was the overall lack of integration between the Spider-Men in the various dimensions. In this game, both Spider-Men now directly interact. In fact, they spend pretty much the entire game talking to each other through some time-traveling communicator thingie. Kudos to Beenox for trying to address a criticism of the previous game. It’s too bad they totally blew it. The comic book video game genre has been one of the most disappointing genres of video games in history. Almost as bad as movie-to-game adaptations (neither of which is worse than game-to-movie adaptations, though). You'd think that with all the awesome source material at their disposal, that game developers would have been able to come up with some pretty amazing games. But other than a few stand-outs, Spider-Man held the crown as the king of good comic book video games for almost a full decade during the 2000's before Rocksteady blew all previous comic book-themed video games out of the water and gave us the first truly great comic game with 2009's Batman: Arkham Asylum. I cannot sing that game's praises enough. It was like a video game love letter to Batman fans (and all comic book fans in general). Despite being a little tedious towards the end, this game delivered an unparalleled experience that made all comic book games before it look as embarassing as Super Mario Bros. the Movie! 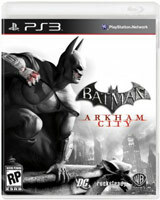 Elements of Arkham Asylum's design (such as the free flow combat system) have even found their way into other games and genres such as Spider-Man: Shattered Dimensions and Uncharted 3. A sequel was inevitable, and hopes were high for Arkham City (which the developers had enough foresight to tease with a secret room showing the sequel's map in the first game). 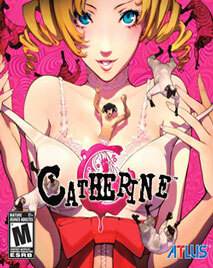 Arkham City promised an open-world map with a longer story, more villains, and Catwoman as a playable character. “Bigger, better, more” seemed to be the motto going into this game. Well, they definitely got the “bigger” and “more” parts, but not necessarily “better”. Once again, this review is exceptionally late. The football season is almost over, and Madden has already sold its bazillion copies for this year. So anything I say here is kind of moot when it comes to helping people decide whether or not to buy this year’s game. But maybe – just maybe – my critiques will help the developers provide us with a better game in the 7 or so months that they have left to make Madden 13. 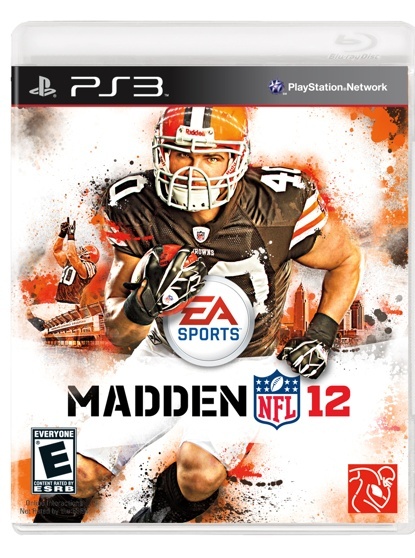 After being thoroughly disappointed with last year’s Madden game, and not being won over by either the new demo or the gameplay in NCAA 12, I didn’t rush out to buy Madden 12 on day one. I waited till September and bought the game used. This also contributed significantly to the tardiness of this review. 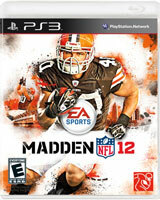 Overall, Madden still just seems uninspired, even when compared to EA’s NCAA Football game. All the same gameplay enhancements go into both games each year now, but NCAA has at least taken some efforts to better represent its sport. Setting up “linked” plays is simplistic but was a start towards a better representation of football strategy. Integration of the No-Huddle offense into the game is a bit clumsy, but is a major component of modern college football, and is thusly represented in that game. Requiring the QB to “read” the defense on option plays doesn’t work as well as last year, but it’s actually an important part of the option strategy. The collegiate look and atmosphere really looks and sounds like Saturday afternoons, and the ESPN integration is actually pretty slick at times. So why's it so bad? Will special teams ever be fixed? “GamePlanning” feature doesn’t actually involve any game planning! Has it already been two years since Uncharted 2 was released? Wow, I suppose it has. Doesn’t seem like two years. But I guess that’s partly because Uncharted 2 is a game that really sticks out in your memory when you play it. It doesn’t go away. It doesn’t stop feeling new and impressive. 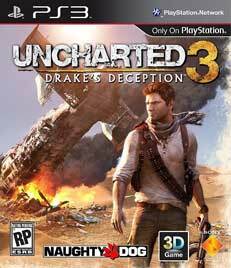 Uncharted 2 is one of – if not the – best games on the PlayStation 3. It was an order of magnitude better than the first Uncharted, which was also an exceptional game. What few flaws existed in the first game were fixed or rendered moot by the sequel, and Uncharted 2 is one of those rare games that is as close to perfect as a game can possibly be. So, of course, Uncharted 3 has big shoes to fill. It was hard to imagine how a game could be better than Uncharted 2, whereas there were obvious areas for improvement with the first game.